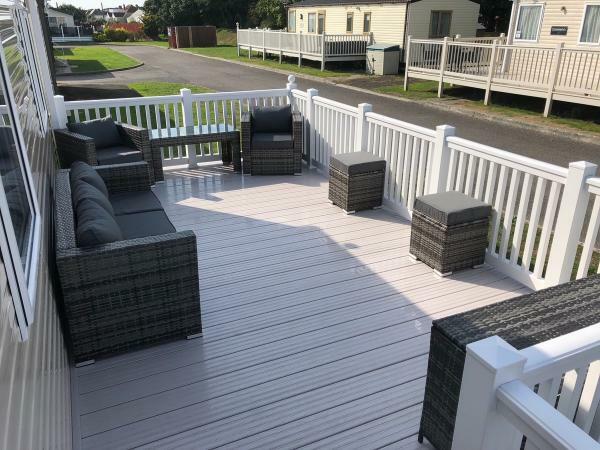 A deposit of £50 (non refundable) is needed to secure your booking with the full amount paid 4 weeks prior to your arrival. 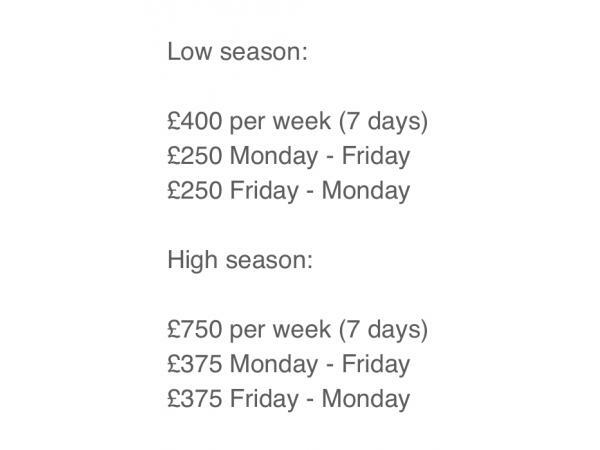 If we don’t get full payment 4 weeks before your arrival date you will lose your booking deposit. 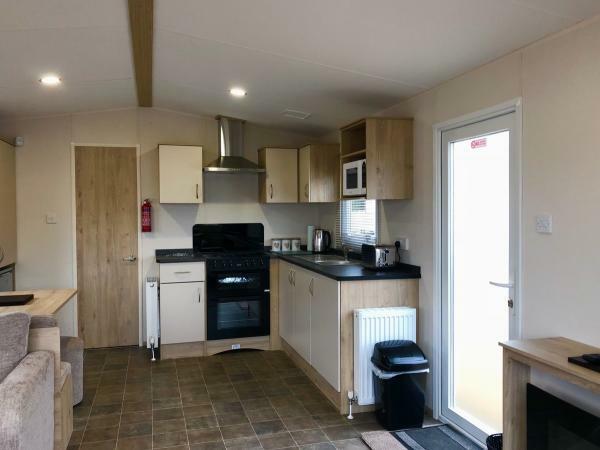 Also a breakages bond of £100 is needed which rest assured is fully refundable within 5 working days after check out, provided there is no damages and the caravan is left as received clean and tidy with no signs of smoking or pets. 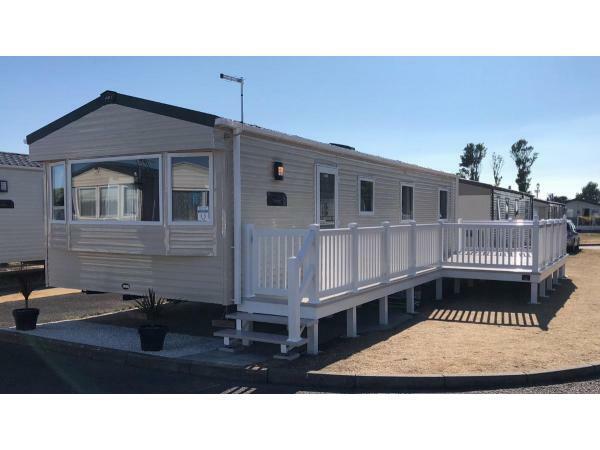 Brand new ABI Trieste static caravan for hire within the very popular holiday park of Trecco Bay Porthcawl in South Wales. 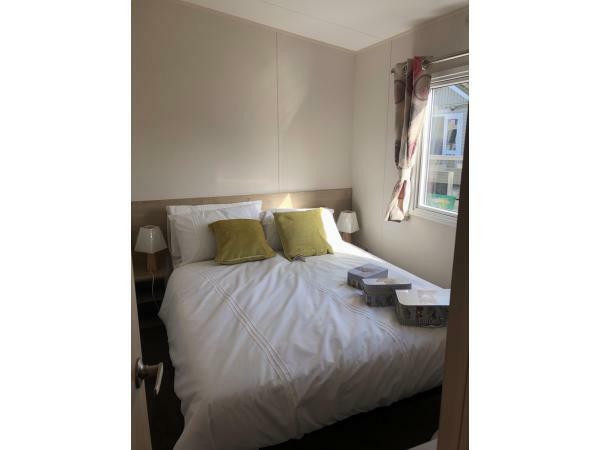 Located on a corner plot in a quiet area of the park (Walnut pitch 35) with only 5 mins walking distance from all site amenities. 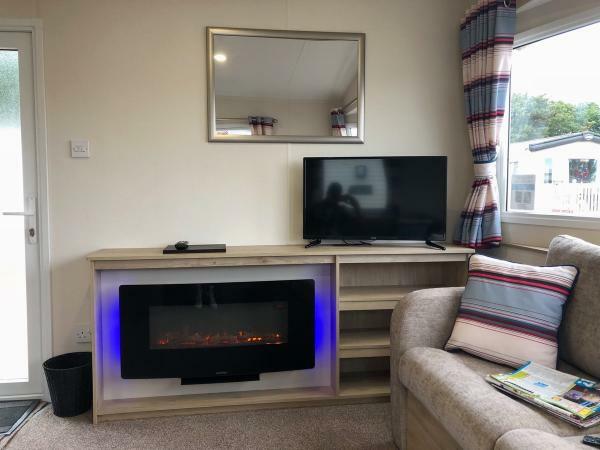 The caravan includes everything you’ll need for your stay such as a freeview 32 inch TV with DVD player built in, Xbox with a selection of games for those rainy days, fridge freezer, microwave, iron with ironing board, utensils, hoover etc. 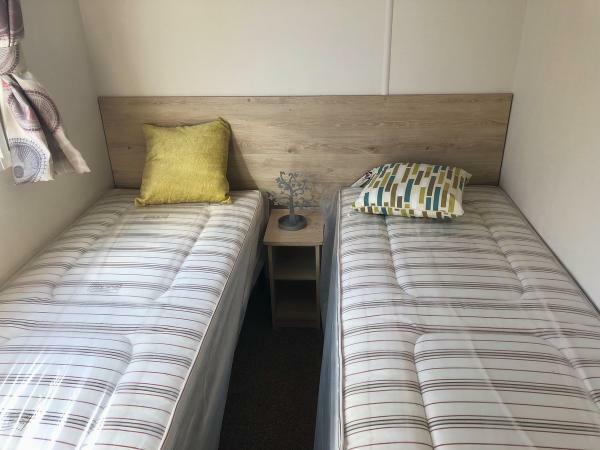 It has 3 bedrooms, 1 double room and 2 twin rooms, quilts, pillows and mattress protectors provided, you will need to bring your own bed linen. 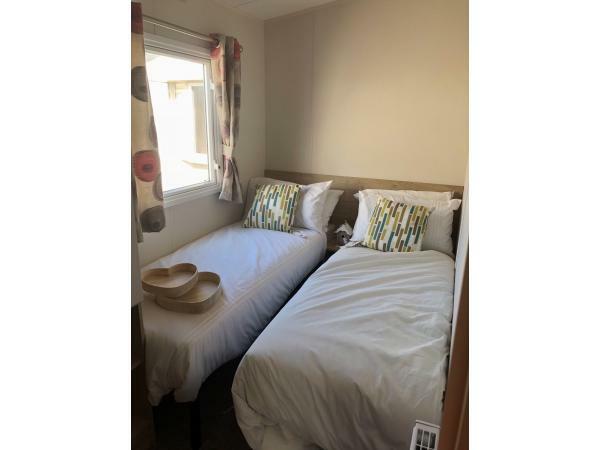 (PLEASE MAKE SURE YOU USE YOUR OWN BED LINEN AS WE’VE HAD TO BUY NEW QUILTS, PILLOWS & MATRESS PROTECTORS, OR YOU MAY LOSE YOUR BRAKAGES BOND, thank you) also there’s a shower room with toilet and sink with a second toilet next door for your convenience. Outside there’s a large decking area with seating. Passes for the park can be bought on site in Owners Elite which gives you access to the showdome, you also have access to splashland indoor pool with pirate ship (use pass or pay on door) also timeout sports bar, Coast bar, outdoor park with wet play area, crazy golf, zip wire, amusement arcades, take always, shop, legends diner, WiFi on site. 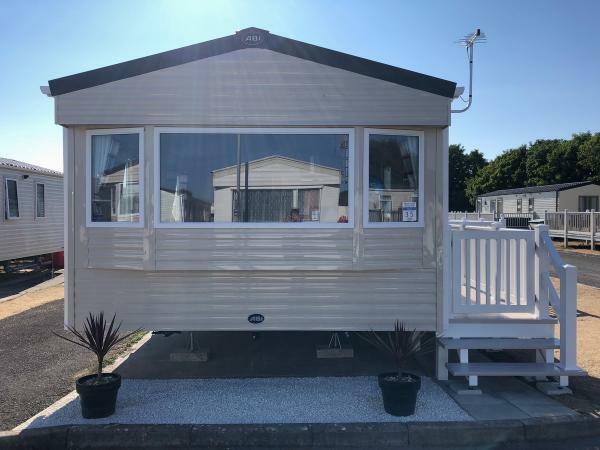 You also got 3 beautiful beaches, Coney fun fair which is only a short walk away with lots to keep the little ones (and old) entertained, it’s also half price Wed & Fri at £1 a ride. Every Tuesday as soon as it’s dark there’s a great firework display at the beach. 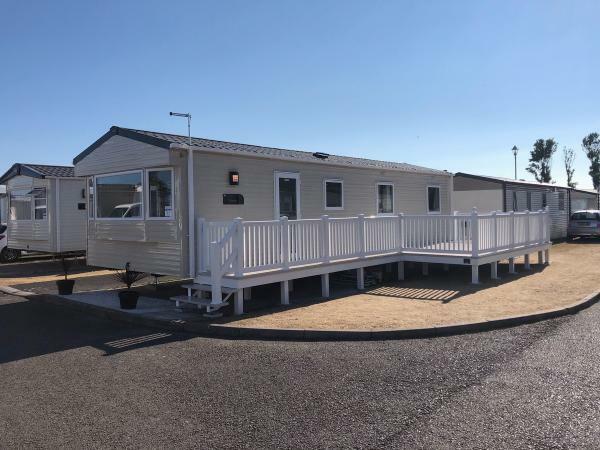 A deposit of £50 (non refundable) is needed to secure your booking and the booking must be paid 4 weeks prior to arrival. 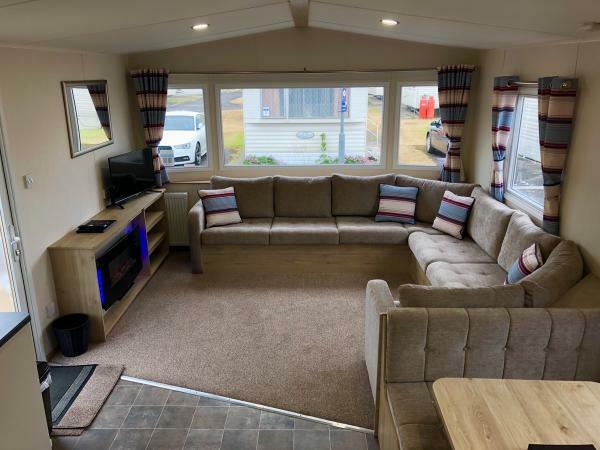 We will also need a breakages bond of £100 which rest assured is fully refundable within 5 working days after check out, provided there is no damages and no signs of smoking or pets and is left clean & tidy as this is our own personal caravan. 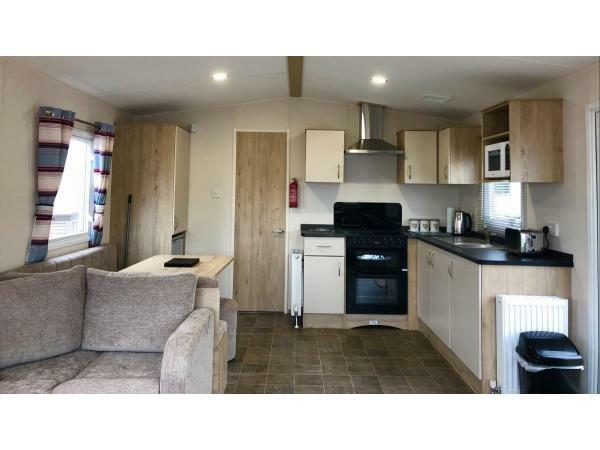 Newly sited most dates available, be one of the first to stay in our new caravan. For availability please contact us through this site or use the number or email below. Call: 07966166148 (Evenings only) or text. Texts can be sent anytime and we’ll get back to you as soon as we possibly can.